Hey all, I just wanted to say thanks for all of your lovely comments on my last post! It means alot that you take the time to look at my work and I really do appreciate it. This piece is for another competition I found over at Talenthouse (I really love this site lately). 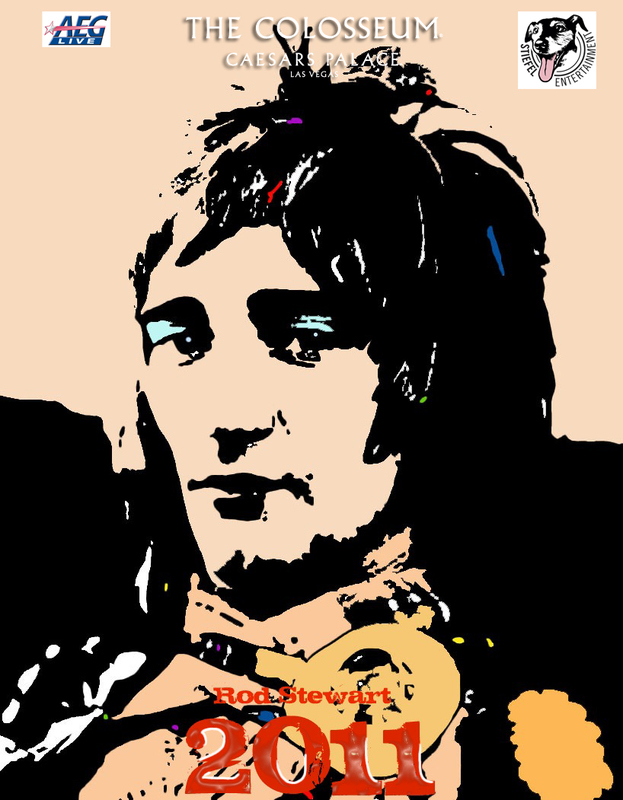 This time it is to design a limited edition poster for Rod Stewart's gig in Las Vegas. That is brilliant! I like this pop art sort of style for posters, really catches your attention! Best of luck. I would totally vote for it:) It is fantastic.